Despite a clear distinction in law between equity and debt, the results of such a categorization can be misleading. The growth of financial innovation in recent decades necessitates the allocation of control and cash-flow rights in a way that diverges from the classic understanding. Some of the financial instruments issued by companies, so-called hybrid instruments, fall into a grey area between debt and equity, forcing regulators to look beyond the legal form of an instrument to its practical substance. This innovative study, by emphasizing the agency relations and the property law claims embedded in the use of such unconventional instruments, analyses and discusses the governance regulation of hybrids in a way that is primarily functional, departing from more common approaches that focus on tax advantages and internal corporate control. 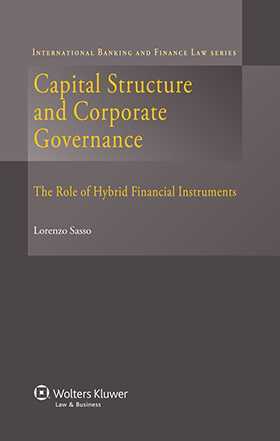 The author assesses the role of hybrid instruments in the modern company, unveiling the costs and benefits of issuing these securities, recognizing and categorizing the different problem fields in which hybrids play an important role, and identifying legal and contracting solutions to governance and finance problems. financial contract design for controlling the board’s power in exit events. Throughout, the analysis includes discussion, comparison, and evaluation of statutory provisions, existing legal standards, and strategies for protection. It is unlikely that a more thorough or informative account exists of the complex regulatory problems created by hybrid financial instruments and of the different ways in which regulatory regimes have responded to the problems they raise. Part I: Regulatory Issues of Hybrid Financial Instruments: The Classification Approach. Chapter 1. A Historical Perspective. Chapter 2. Distinguishing between Equity and Debt. Chapter 3. Setting the Theoretical Background. Part II: Governance Regulation of Hybrid Financial Instruments: The Functional Approach. Chapter 4. From the Classification to the Functional Approach. Chapter 5. Significant Corporate Decisions. Chapter 6. Financing through Hybrid Instruments: Risks of Opportunism and Legal Strategies for Mitigation.